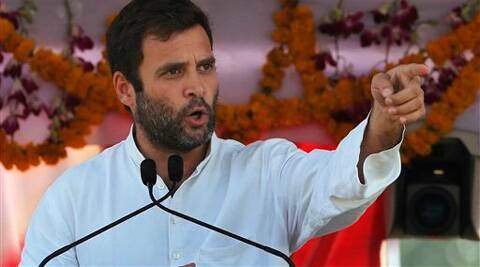 Rahul's interview had drawn flak from rival parties and had left the Congress squirming. The Chief Minister said he and Rahul often discuss politics. Don’t back off after one interview with one channel. This is the advice to Congress Vice President Rahul Gandhi from Jammu and Kashmir Chief Minister Omar Abdullah. “All I would tell him (Rahul) not to sort of back off after one interview with one channel. My advice to him, and I have no hesitation in sharing this, is that he has done one with one channel and it will be helpful to go out and do a few more. “It will be good for him and it will be good for all of us,” Omar said during India Today conclave. Omar was asked as to what would be one advice which he would desire to give to Rahul Gandhi. Rahul’s interview had drawn flak from rival parties and had left the Congress squirming. The Chief Minister said he and Rahul often discuss politics. “It would be impossible not to talk politics. Of course we do. But would I consider myself among the circle of advisers, No,” Omar said. The Chief Minister refused to discuss details of probable deliberations among the two leaders saying he would “find more private way of doing it”.